The second phase of the Spanish Primera Division starts this weekend and the standout bet is Atletico Madrid to maintain its pursuit of Barcelona with an away victory over Huesca. No Spanish Primera Division side has lost fewer games this season than Atletico Madrid, which is second on the ladder with its 10-8-1 record. Unfortunately, Atletico has drawn too many matches to lead Barcelona in the Spanish Primera Division standings but three points should be its for the taking against a Huesca team that is destined for the drop into the second tier. 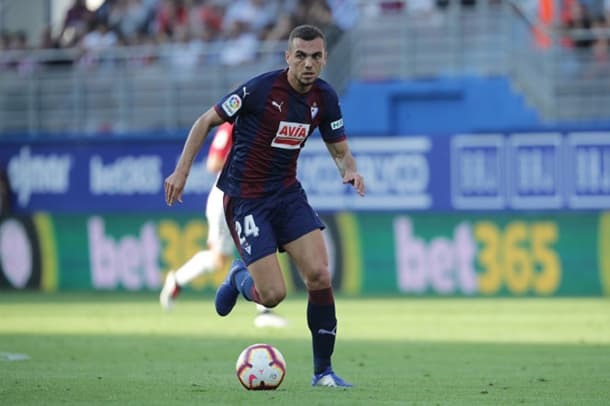 Huesca is anchored to the foot of the Spanish Primera Division ladder with 11 points, six points fewer than 19th-ranked Villarreal and 10 points adrift of safety. Huesca has won just two of its 19 Spanish Primera Division games and it is 0-0-5 versus the league’s top five sides with a goal difference of minus 12 in those matches. 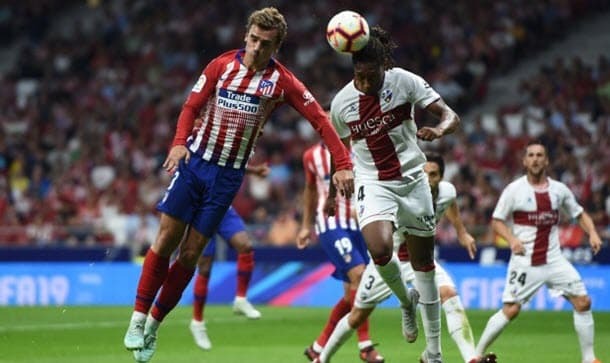 Atletico Madrid and Huesca clashed in the sixth round of Spanish Primera Division games and the result was an easy 3-0 home win for the Mattressmen, which finished their goal scoring inside 33 minutes. Three-nil is the biggest Spanish Primera Division defeat that Atletico has handed out this term – the Mattressmen are not known for their thrashings – and, according to one’s collateral form analysis, there is very little hope of Huesca turning the tables on Saturday at 73/100 1.73 -137 0.73 -1.37 0.73 with BetVictor. Based on one’s Spanish Primera Division collateral form data, Atletico enjoys a 15-3-1 lead over Huesca, including progressive counts of 6-0-0 and 13-2-0. Atletico is a live Spanish Primera Division title contender, whereas Huesca’s ability is well below that of a top-flight competitor. This season’s first Spanish Primera Division meeting of Levante and Valladolid turned on a 54th-minute red card when the score was 1-1. 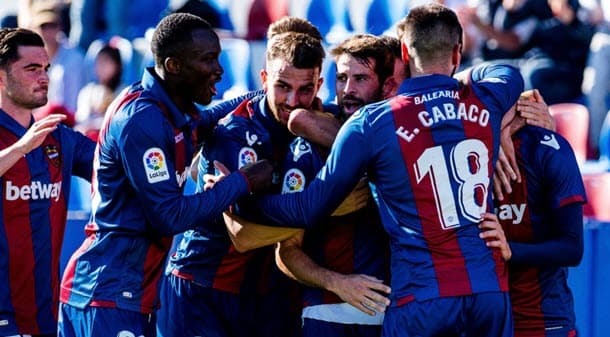 Levante, which opened the scoring before being reduced to 10 men and eventually losing 1-2, is one’s second best bet on the Spanish Primera Division card at home to a Valladolid team that has hit the skids in recent weeks. Levante is 12th on the Spanish Primera Division ladder, one point and two rungs above Valladolid. According to one’s Spanish Primera Division collateral form analysis, Levante holds a 9-2-8 edge over Valladolid but that only tells half of the story because, on one progressive count, the Frogs boast a 5-0-2 advantage over the White and Violets, which suggests one’s picks are better than their rivals. Moreover, Valladolid will line up against Levante on Sunday at 111/100 2.11 +111 1.11 1.11 -0.90 with 188Bet without two suspended players as the White and Violets try to post their first Spanish Primera Division win since mid December. For one’s third Spanish Primera Division selection one is going to wait until Eibar entertains Espanyol on Monday at 11/10 2.10 +110 1.10 1.10 -0.91 with Bet365. Across all competitions Eibar had drawn five matches in a row before losing 0-3 at Barcelona in Spanish Primera Division action. Normally one would not be overly excited about the prospect of backing a Spanish Primera Division side such as Eibar but, according to one’s collateral form analysis, the Gunners represent good value at home to an Espanyol team sliding down the ladder after its excellent start. Eibar trails Espanyol 8-2-9 on one’s overall Spanish Primera Division collateral form numbers but, in one of the most remarkable progressive counts, the Gunners lead the Budgerigars 8-0-1. What that means is Eibar has outperformed Espanyol versus most of the Spanish Primera Division’s heavyweights and, obviously, results against good sides should carry more weight than results against bad sides.